i thought winter was the greatest season ever, but now i think spring is going to be the greatest season ever. (i don't know, i also sometimes think fall and summer are the greatest seasons ever, too.) 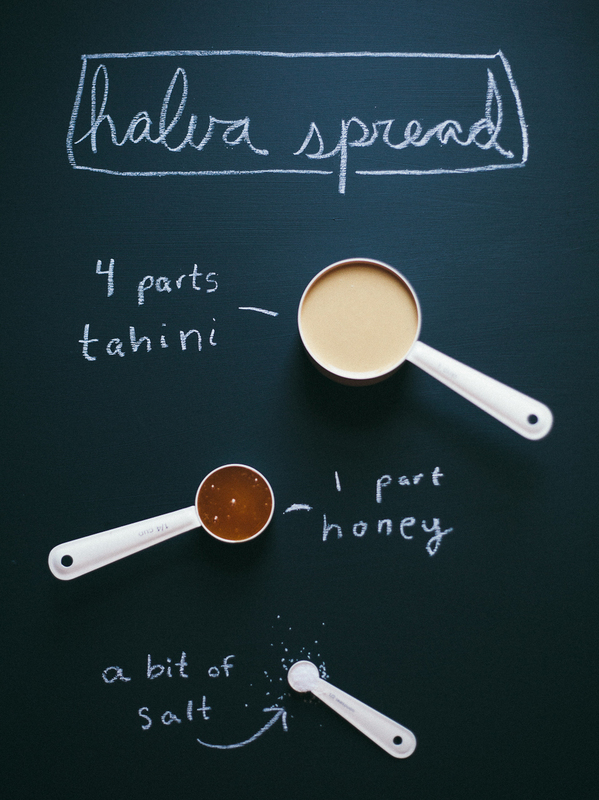 either way, let's kick it off in a sweet way with sweet tahini spread, aka halva spread! this comes as the result of being 1,500 miles away from brooklyn sesame, a trillion miles away from israel (where apparently this is super common), and after having had some major halva failures. major halva failures. while this spread comes in a different form than your typical fudge-like halva, it's just as yummy and making it won't cause you to feel like a big fat failure. 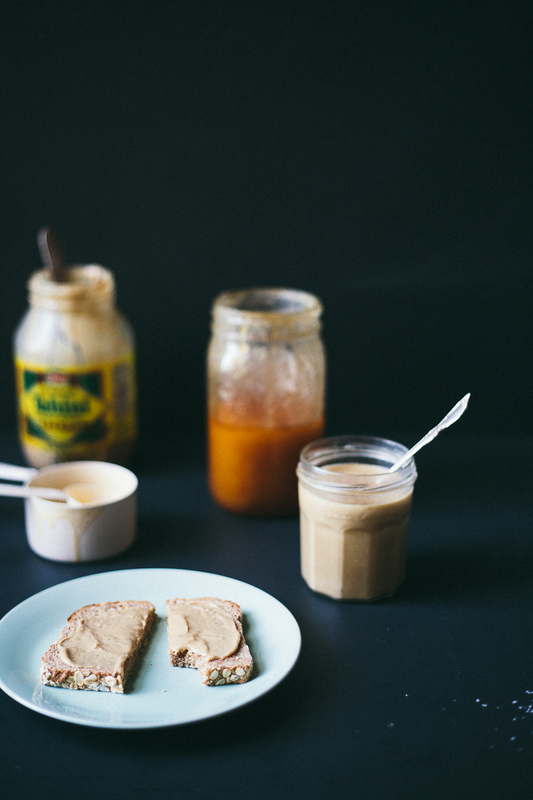 you can make this spread in the time it takes your coffee to brew, and you can eat it on toast, mixed into yogurt, with a spoon, or however else you please. you can also flavor it with a pinch of cinnamon, a splash of vanilla or almond extract, some cocoa powder or chocolate, or toasted nuts for a crunchy variety. 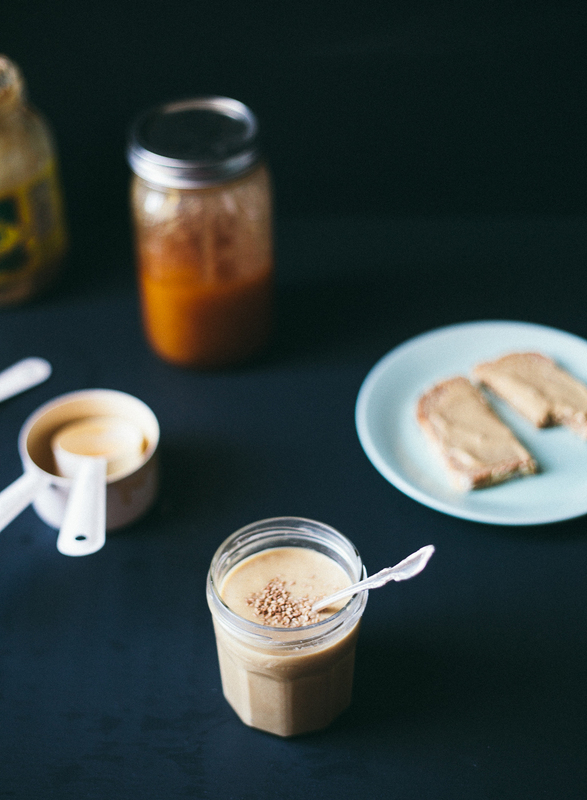 it's basically peanut butter's fancy schmancy cousin. makes 1 1/4 cups, but can easily be halved, doubled, etc. mix all of the ingredients well. if your tahini is pretty thick and pasty, add flavorless oil (like vegetable oil) bit by bit until it gets creamy. taste, and adjust as desired.